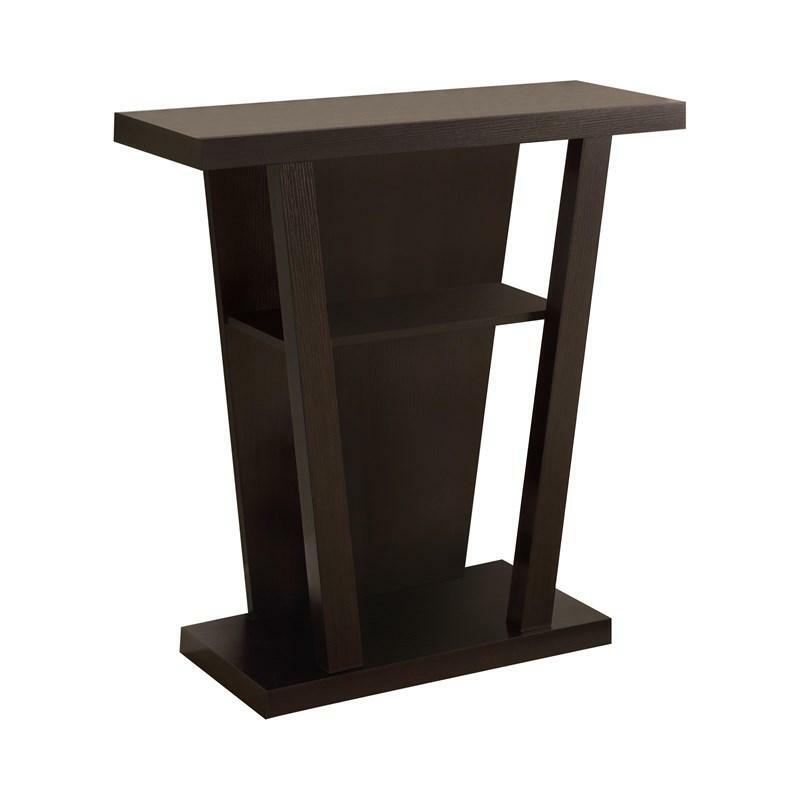 With an effortless design, this accent console table offers users ample storage space. This console table gives owners three spacious shelves. The table is made from engineered veneer and is finished in a rich, dark cappuccino to bring warmth to any kitchen or dining room. Volume 2.99 cu. ft. / 0.08 cu. m.